If you're running a run, walk, or bike race, you may be wondering how you can best set up CauseVox for your event. The easiest flow for donors is for them to "Register" for the race by creating their own personal fundraising page and then directing them to complete their registration by going to the donation form to pay the registration fee. 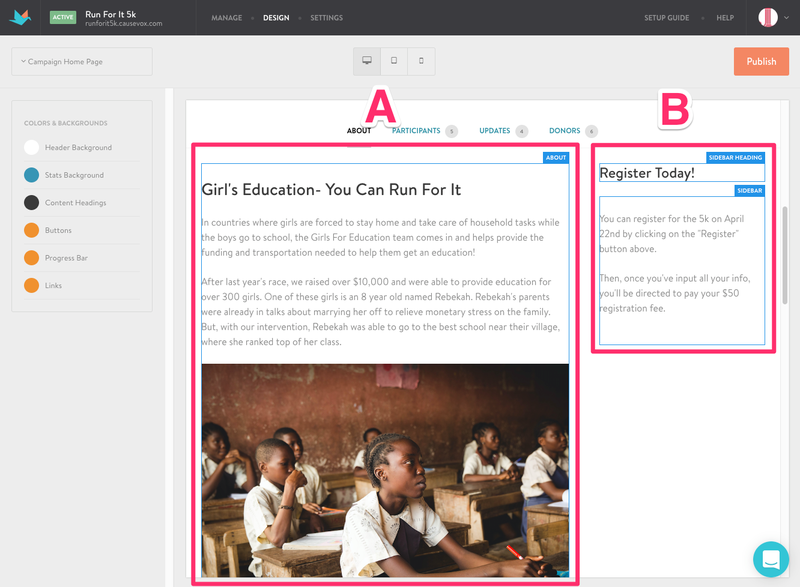 Here's a look at best practices for creating a racing campaign on CauseVox and how you can best structure your race signup. 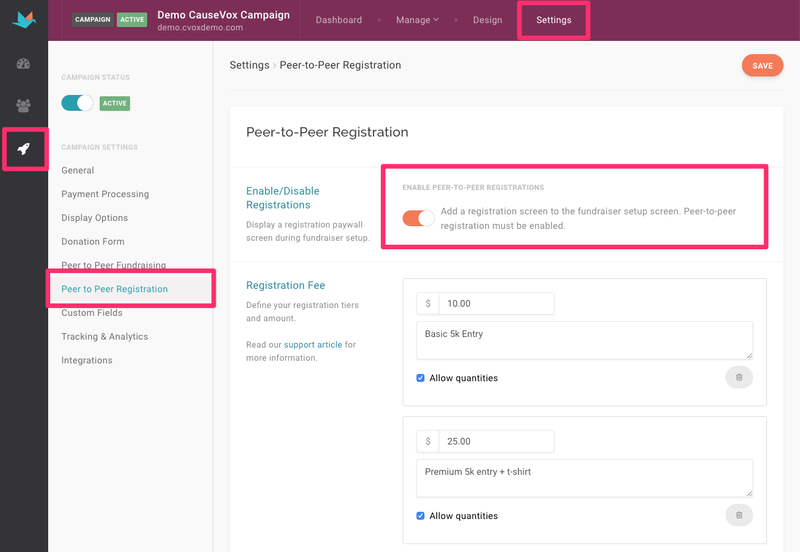 If you're starting a new campaign, you can choose Peer-to-Peer Registration from your Fundraising Type selector. This will lead you through the setup process including peer-to-peer registration. 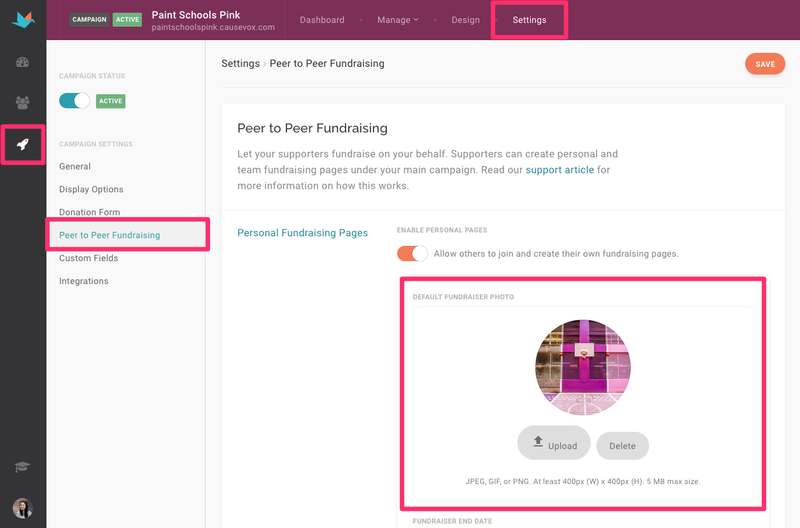 You'll want to make sure that you have personal and team fundraising pages enabled, and upload a default fundraiser photo to ensure the signup process is easier (in case a participant doesn't have a photo ready to upload). Next, you'll also want to create a Default Fundraiser Appeal with details about what they're racing for to provide content for racing participants to work off of. 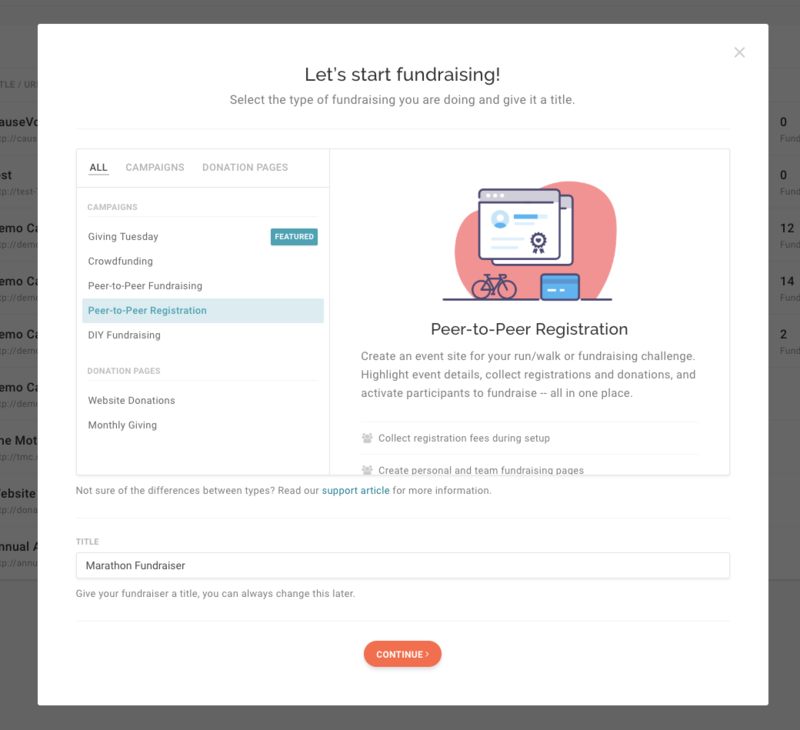 You'll want to ensure that you have teams enabled, so that participants in the race that are coming from running clubs or different corporations can fundraise together. 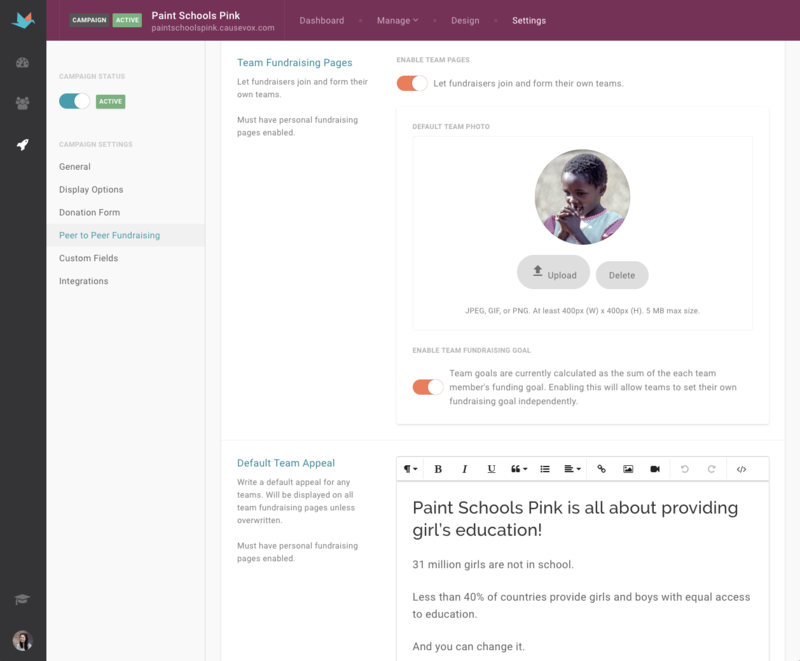 The Default Team appeal also allows you to pre-populate team content, so you team admins have something to work off of as well. 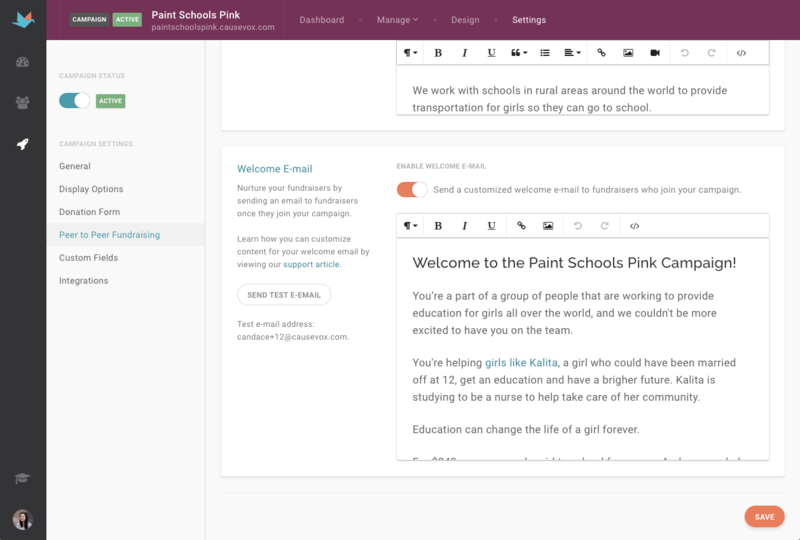 The Welcome Email is one of the most essential steps in the setup process for fundraisers. 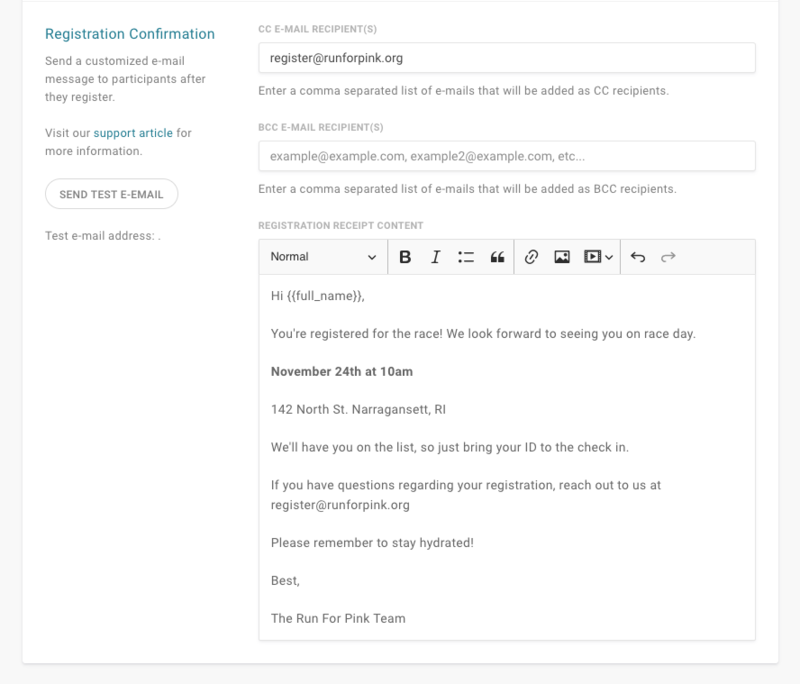 This gets sent out to fundraisers as they complete their campaign setup and it's where you'll supply your instructions for participating in the race. A: Ensure that you have the welcome email enabled. B: In your welcome email, instruct your fundraisers about day, time, location, and anything else they need to know to participate on race day. You'll also want to include contact information if they have any questions. C: Link to an external document that contains a fundraising toolkit to help them fundraise for you. 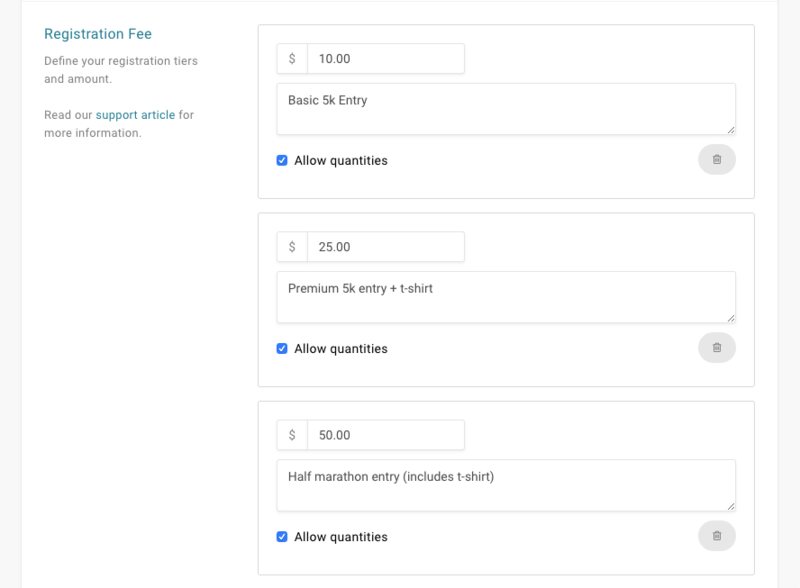 The Custom Fundraiser Fields are also really important because they allow you to get additional information from registrants that you need for the race. Oftentimes for races this looks like a dropdown menu with t-shirt sizes. 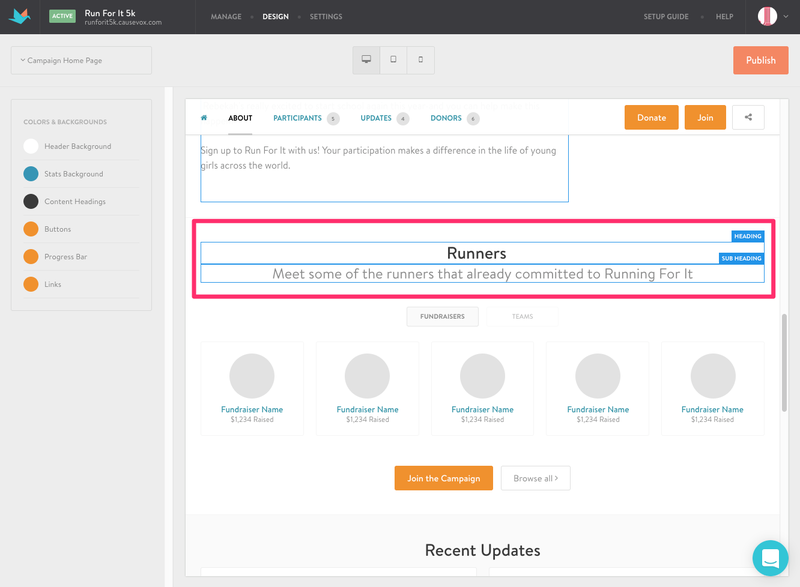 The "Create a Fundraising Page" button text can be edited to say "Register" to make it clear that this button is where they click to register for the race. For your page content, you'll want to include a few things in your About section and Sidebar to make your information clear. A: In the About section, you'll want to include an appeal that touches donors hearts and inspires them to get involved- don't just put information about the race! Include a story about your organization's impact and invite your supporters to be a part of it by giving or even better- race! B: The Sidebar is the perfect section for race logistics. Include instructions on how they can register (by clicking the "Register" button, and any info about the race you'd like to provide. Finally, in the "Participants" section heading, you'll want to personalize this for your race. Try out different headings like such as "Runners" with a subheading that fits your specific race. For more information on how you can design your site, view our article How To Design Or Edit The Look Of Your Campaign Site. 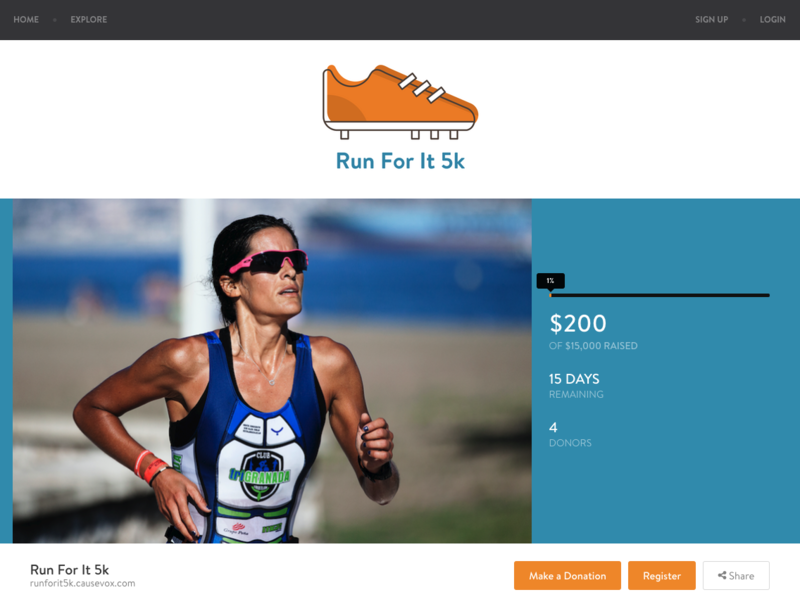 With all this, your site will be set up to help runners easily register for your racing event and help drive donor and fundraiser engagement.